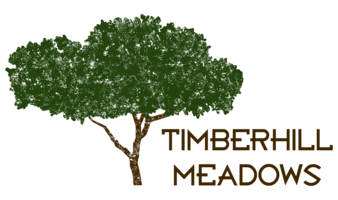 In addition to a beautifully maintained, parklike setting and the natural north Corvallis, OR landscapes, Timberhill Meadows delivers perks and resident services you’ll love. Well-kept pathways lead to charming outdoor social spaces with barbecue equipment. Covered bike parking and detached garages are both available. Residents also appreciate the convenience of the car wash station, package receiving and other thoughtful community services. Timberhill Meadows empowers you to expect more from your next apartment in Oregon—more space, more features, more comfort. High ceilings and numerous windows capture optimal natural light while plush carpeting enhances your overall comfort. Your fully equipped kitchen has everything you need, and an attached patio or balcony makes it easy to enjoy a meal, or simply some fresh air, amid the peaceful setting. Oversized closets and in-home laundry appliances both come standard. Rent your next pet-friendly home at Timberhill Meadows today. Pet policy: We welcome up to 2 pets per apartment home. There is a $400 pet Deposit (per pet) as well as $25 pet rent (per pet) per month. Aggressive breeds are prohibited. Please contact our leasing office for more information about our Pet Policy. Parking Comment: Carports and garages are available for reserved parking. Open parking is also available throughout the community. Please contact our leasing office for more information about our Parking Policy.